A typical pre-workout routine involves eating a healthy snack or drinking an energizing shake. But if you’re trying to limit the number of times you wash your hair each week, you might want to spritz on some dry shampoo before you sweat it out. Sweating is an unavoidable part of working out. If you’re hitting the gym regularly, you’re probably shampooing too frequently, stripping your hair of its natural oils. While there’s only so much dry shampoo can do after your hair is already soaked with sweat, it’s a pre-workout hero. As opposed to trying to get rid of a sweaty mess, spritzing on some dry shampoo before hitting the gym makes getting ready afterward a cinch. Who has time to wash, dry, and style every day? Not me, that’s for sure. It’s that easy. By taking one extra step, you’ll have a post-workout look that’s so fresh no one will believe you just hit the gym. While dry shampoo is a worthy opponent to take on sweaty hair, there are some other tips that can help transform your post-workout routine, too. 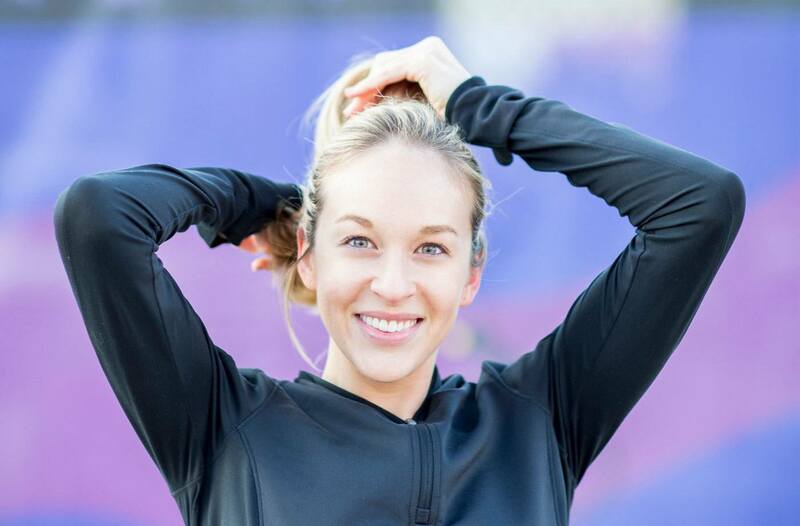 Like throwing your hair into Taryn Toomey’s beloved workout bouffant, or—as one celeb hairstylist recommends—grabbing a headband.